Pileteid jalgpalli põhja UK ja Manchester. Premier League pileteid Manchester United, Manchester City, Bolton Wanderers, Everton FC, Blackburn, Stoke City, Aston Villa och Liverpool! Toetame Arstid Ilma Piirideta. Loe lähemalt, mida me siin teeme. Premier League jalgpalli piletid Manchester United, Manchester City, Bolton Wanderers, Everton FC, Blackburn, Stoke City, Aston Villa ja Liverpool! 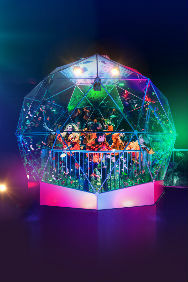 Situated just next to Spinningfields, The Crystal Maze LIVE Experience Manchester is the ultimate team challenge. Based on the outrageously popular 90s TV show, you can now experience it for yourself as you take on this immersive adventure of tricksy challenges!